At a Tampa press conference on Thursday morning, Scott addressed questions from reporters about SunPass and denied that the campaign contributions connected to the tolling system’s vendor impacted his decision-making. Weeks before Florida's SunPass tolling system imploded, Gov. 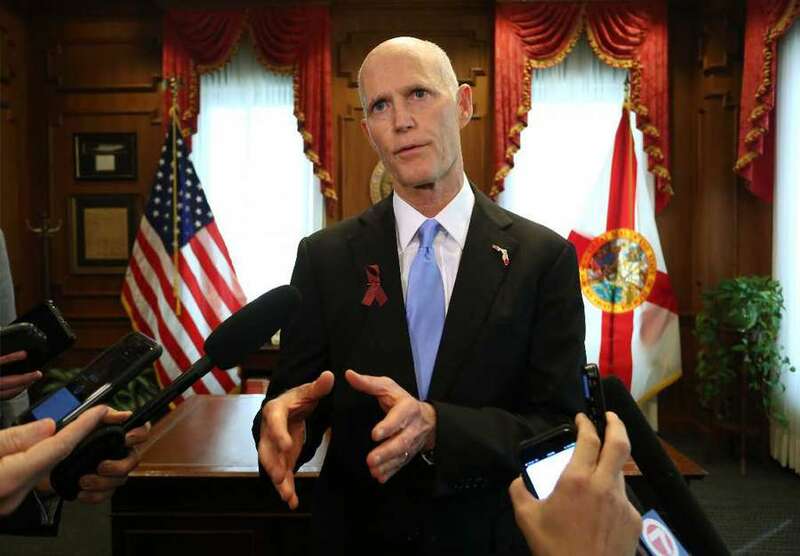 Rick Scott was at a Dallas fundraiser collecting donations to his U.S. Senate campaign. Among the hosts for the May gathering was a major shareholder of the company under scrutiny for the SunPass problems, along with two of his family members. And the day before the Florida Department of Transportation sent a letter threatening to penalize Conduent State and Local Solutions for persistent problems with the SunPass billing system, Scott was the toast of a lunchtime fundraiser, this time in D.C. The host that day was Conduent's Tallahassee lobbyist. At a Tampa press conference on Thursday morning, Scott addressed questions from reporters about SunPass and denied that the campaign contributions connected to the tolling system's vendor impacted his decision-making. "Anybody that wants to contribute — when they contributed in my governor's race or if they want to contribute in this (U.S. Senate) race — they know exactly what I stand for and what I'm going to do," Scott said. "I'm doing everything I can to make sure there's no conflicts." Critics say the donations could explain what they say has been a slow move to penalize Conduent for problems that have angered SunPass users for two months now. "If Governor Rick Scott truly isn't beholden to political donations from billionaires with ties to Conduent Inc., he would call for an investigation into the SunPass vendor responsible for this complete failure," said Marisol Samayoa, a spokeswoman for the Florida House Democrats, in an email. "Now the question really is whose bottom line is really being hurt by an investigation — his or Conduent's?" Florida Democrats, including Scott's opponent U.S. Sen. Bill Nelson, have appealed to Scott in recent weeks to hold Conduent and the FDOT accountable. Samayoa said state representatives, including Rep. Kionne McGhee, D-Miami, have reached out to Scott but haven't heard back. 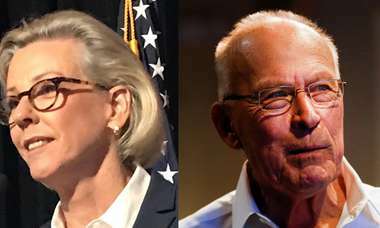 Lauren Schenone, a spokeswoman for Scott's Senate campaign, said in an email that Scott does not make decisions based on political donations. "This fundraiser from the beginning of May had absolutely nothing to do with SunPass or the issues that began occurring last month," Schenone said. "Governor Scott has also been clear that the failures of this vendor are unacceptable and that action is being taken to hold them fully accountable." The FDOT warned state toll road users that the customer billing system for SunPass would go down for system upgrades from June 5-11. Conduent said its billing system is now up and running again. But it is still working through 170 million backlogged charges and is working on a prolonged customer service technology outage. "We are going to come up with a process where I think anybody who has had any overdrafts that DOT will reimburse them if it's been caused by this," Scott said Thursday. "We will find out what happened and then try to make sure it never happens again." On May 8, Scott attended a fundraiser for his Senate campaign at the home of Terry and Robert B. Rowling. The Texas event raised many tens of thousands of dollars. Among the listed co-hosts that evening were Dallas billionaire Darwin Deason, his wife Katerina, and their son, Doug Deason. According to a July 2018 campaign filing, the three Deasons each donated $5,400 to the Rick Scott for Florida campaign that week — the maximum personal contribution allowed. Darwin Deason's roots with Conduent date to 2010, when Xerox Corp. acquired his Affiliated Computer Services, a technology company that oversaw services such as the northeastern U.S. tolling system E-ZPass, according to Forbes magazine. When Conduent Inc. split off from Xerox in 2017, Deason maintained shares in both companies. According to company filings, Deason has more than 12 million shares in Conduent Inc., and holds the sole voting power according to company filings signed in February 2018. He is now Xerox's fifth-largest shareholder. His son Doug manages the Deason family assets. None of the Deason family members responded to a request for comment. Among other Dallas-area donors who appeared on a host committee were ClubCorp. executive Eric Affeldt, who gave the maximum individual donation of $5,400; investor James Huffines, $2,700; Kenny Troutt, chairman of Mount Vernon Investments and Lisa Troutt, $5,400 each; Joseph Popolo, president of Freeman Companies, $5,000; Dary Stone, president of R.D. Stone Investments, $5,400; and investor Tom Hicks, a former owner of the Texas Rangers baseball team, $5,400. Also in May, Scott received a $2,700 check from a Midland, Texas resident — former President George W. Bush. Conduent employs Ballard Partners as its Tallahassee lobbyist. The firm's principal, Brian Ballard, was the host for Scott's U.S. Senate campaign fundraising luncheon in Washington D.C. on June 28. Ballard, who was chief of staff to former Gov. Bob Martinez, is a major political player in state politics and was a fundraiser for both of Gov. Rick Scott's inaugurations. 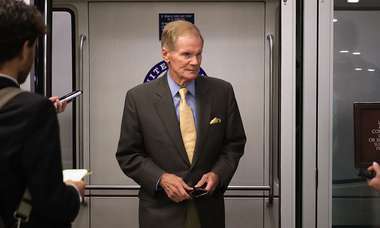 He bundled or collected $97,000 in Scott campaign contributions, according to Scott's mid-year Senate campaign report. 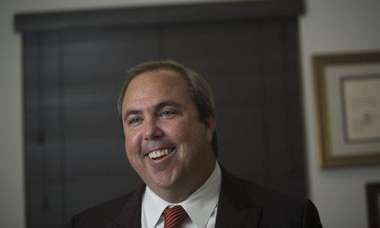 Ballard said his firm mainly has done work for Conduent in South Florida, not with the state or the FDOT. "I personally have never been involved with that, and I've never spoken to DOT about SunPass," Ballard said. "I don't know the facts about that contract." He said he first learned about the firm's problems from news accounts. Ballard's firm has an estimated 200 clients, including the New York Yankees and the U.S. Sugar Corp., and Conduent is not among the most prominent of them. Conduent pays the lobbying firm about $5,000 a month — a modest monthly retainer in Tallahassee — and Ballard said it never occurred to him to ask Conduent to donate campaign contributions to any candidate. Ballard is also a lobbyist for HNTB Corp., a consultant for the FDOT that the state has paid millions of dollars to oversee transportation, including the SunPass tolling system for Florida's Turnpike Enterprise. When the Tampa Bay Times reached out to HNTB, a spokesperson directed a reporter to the FDOT for comment. Times staff writer Howard Altman contributed to this story.